PDF Expert is more powerful than you'd expect for its price. 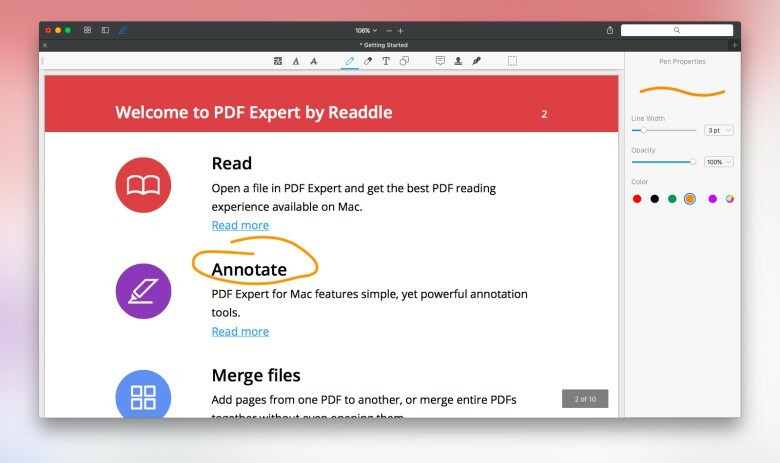 Readdle’s highly praised iOS app PDF Expert has landed on the Mac. Shortly after its debut, it shot straight to the number one spot for paid apps on the Mac App Store. Apple’s own Preview app works fine for simply reading through PDF files or making tiny edits, but people who work with PDF files more frequently and need more power can benefit from giving the $19.99 PDF Expert a chance. Cult of Mac got the opportunity to do just that. Everybody knows that the leader in the category of PDF editors and readers is Adobe with its Reader and Acrobat apps, but the latter costs $14.99 per month for a subscription or a staggering $449 for the full desktop software. As long as you don’t need to create PDFs, PDF Expert only asks for $20 out of your pocket and it’s jam-packed with all of the necessities and then some. Adobe has launched a great new app for iOS that carries a similar kind of functionality as its Acrobat application for PCs. Named CreatePDF, the new app allows you to create high quality PDF files from a plethora of different file formats — with just your iOS device. PDF Expert is a popular iOS app from Readdle that promises to be the ultimate solution to all your PDF needs. 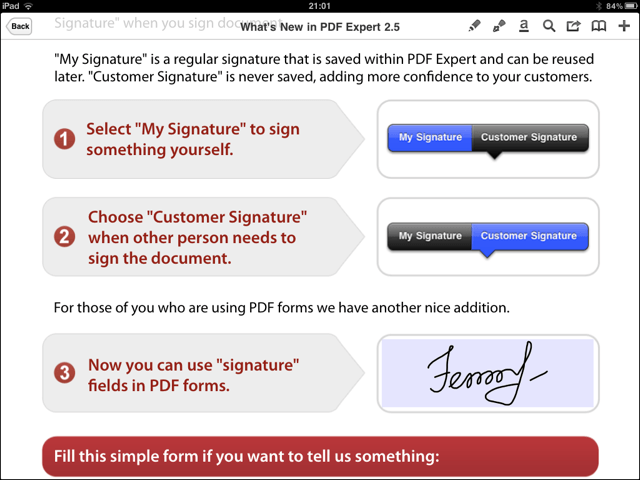 In addition to its excellent ability to let you read and annotate PDF documents, its latest update allows you to finalize documents on the go with support for signature fields.